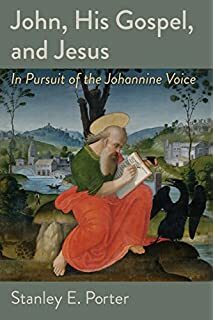 One of the contributors to this blog, Stanley Porter, has posted a guest blog at EerdWord regarding his recent book John, His Gospel, and Jesus: In Pursuit of the Johannine Voice. Click on the link to read his comments on what sorts of contributions the book makes in Johannine studies. This entry was posted in publications and tagged book review, Gospel, Gospel of John, Johannine studies, John. Bookmark the permalink.